It seems strange to us that MINI have taken this long to introduce a five-door variant of their famous hatchback. The reason for this, as it turns out, is simple. The chassis of the MINI Hatch was simply too short to squeeze an extra row of doors in. That is, until the introduction of the MINI Clubman, and the larger chassis upon which it was based. The 5-Door Hatch is actually more closely related to the MINI Clubman, being based on the same, slightly longer platform, which allows for those extra two doors. Even with the extra length, though, things are a little cramped in the back row – fine for kids and smaller adults, but anyone over 6ft tall wouldn’t enjoy themselves back there. Being slightly longer and heavier, the 5-Door is slightly more prone to under steer than the 3-Door. Aside from that, you’d be hard pressed to find any noticeable differences to the driving experience. It still feels light and nippy, with plenty of pickup from the 192hp 2.0l turbocharged four-pot. Inside, however, MINI have taken things to the next level with the high-spec Cooper S. There’s a distinctly premium feel to everything, with a leather-wrapped steering wheel and padded surfaces, and a style and layout that will instantly win you over. It’s an absolute masterpiece of design, squeezing all kinds of great features into the compact space. The last time I drove a MINI, it still had that ludicrous giant speedo in the centre of the dash. This has thankfully made way for a very eye-catching TFT display and stereo controls, framed by a rather cool ring of luminous ever-changing colour which doubles as a volume dial. You still get the unique and quirky switches and buttons that MINIs have always had, which give them their distinctive character. 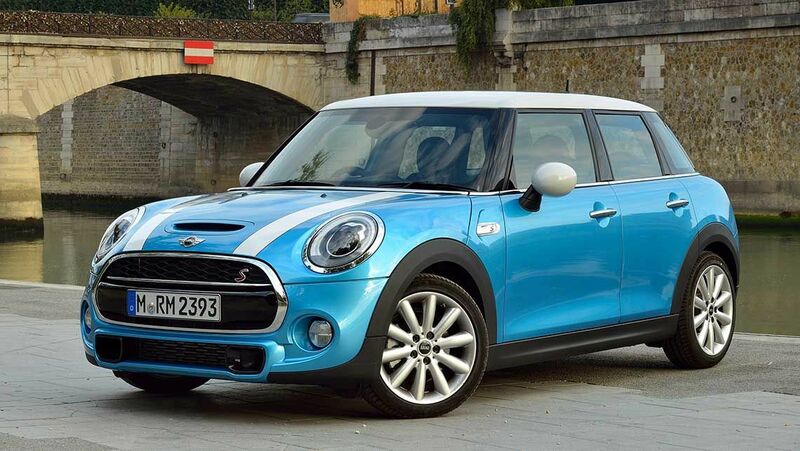 So what is a MINI Cooper S now? Well, it’s a premium hatchback whose sporting credentials have made way somewhat for high levels of luxury and style. If you’re looking for a sports experience, save up for a few more months for the John Cooper Works. If you’re looking for a nippy, enjoyable and stylish city hatch with added space and practicality, the MINI Cooper S 5-Door Hatch is all that, and then some.